Road safety has always been a top priority across the world, but it’s not just for drivers. Yes, drivers need to be taken care of, and it’s important to be sure there are measures in place for looking after vehicle users. But, there should also be procedures in place to help protect pedestrians who need to use the roads as well, and that’s where things like zebra crossings come into play. Taking care of pedestrians on the road is something very important, and some places are doing more than others. 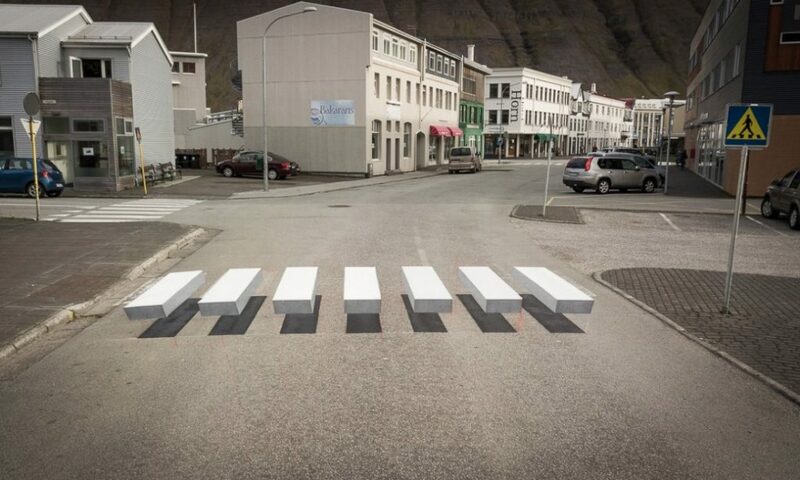 Which brings us onto the focus of our post – a 3D crosswalk in Iceland! We have all heard about the great quality of life in Scandinavia, and this is just another of the awesome things that illustrate how people are taken care of well in these countries. Let’s find out more shall we? In the small fishing town of Ísafjörður in northwest Iceland, amid the stunning, dramatic landscapes, and old-style wooden houses, lies one of the more advanced forms of road safety. The town actually has its very own 3D crosswalk. Not only is this a perfect addition to the town for locals to use, but, it actually attracts people from all over who come to see it as well. This exciting new development in road safety is something that a lot of towns and cities could benefit from in the future. We look forward to a time when we see 3D crosswalks in our own home towns and cities. Now, you might be skeptical about the idea of a 3D crosswalk – that doesn’t work, right? Well, kind of. The crosswalk is not actually 3D, of course, but it is painted in such a way as to create a 3D optical illusion. This groundbreaking design gives travelers the feeling that they’re walking on air, as well as catching the attention of drivers, and helping them to regulate their speed more. The design was actually based on an idea that was being trialed in India and was pioneered by environmental commissioner Ralf Trylla. He was inspired by an idea he’d seen in New Delhi and teamed up with a street painting company to make his vision a reality. This is a fascinating design and a memorable idea, and it could well change the face of road safety. It seems like a pretty straightforward solution, and simply involves painting on the road in such a way as to create a 3D illusion. We’ve seen some pictures and video footage, and it’s pretty amazing how clever this design is. The fascinating crosswalk looks set to shape the future, and set a big precedent for road safety. 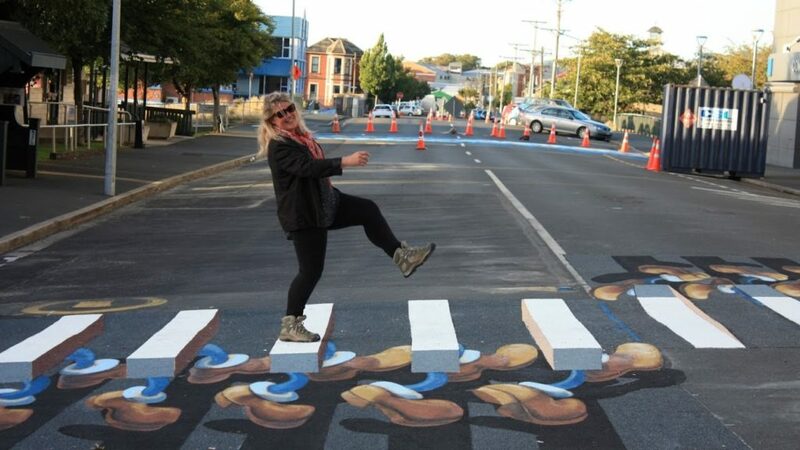 If you’ve never seen one of these 3D crosswalks, we suggest you get online and take a look as soon as you can. There are plenty of places in the world that have these sorts of crosswalks. Other nations including China and Kyrgyzstan are using these 3D crosswalks in order to improve road safety and make cars slow down at crosswalks.